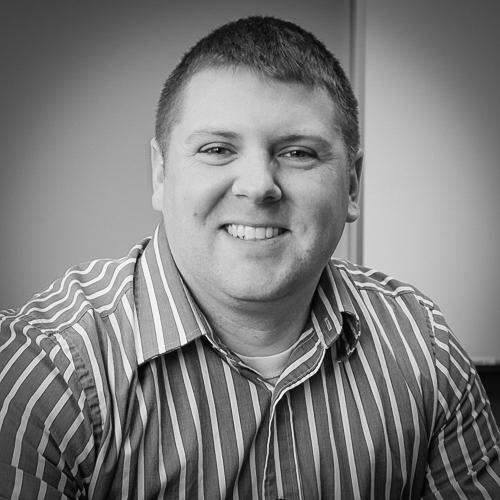 Josh Johnson – TelePro, Inc.
Josh Johnson’s expertise is in high-reliability network design, system configuration, network security, application security, and quality control testing. He has worked in all facets of the project life cycle: project management, systems design, system engineering, staging, development, QA testing, commissioning to production, integration with existing systems, documentation, and operator training. Josh also manages TelePro’s staging lab environment, is the internal IT manager for TelePro, and is fluent in domain functionality, mail / internet security, and process control server management and support. As an extension member of the process control engineering and support group for a corporate customer, Josh travels to sites in Iceland, Norway, Spain, Brazil and the United States to perform infrastructure, system level, application, and IO hardware upgrades. He also configures, commissions, and supports high-reliability, multi-layer, multi-VLAN redundant-ring process control networks for the metals manufacturer. As a project manager, Josh created a Microsoft Windows 2008 Server active directory forest to expedite data transfer, provide better system/data redundancy, and to provide integrated security and system management for a forging furnace process control system. He created a trust relationship between the process control AD and the corporate AD, allowing business users to access data mining services and process visualization screens. Lastly, using the process control AD, he joined the process control system to corporate security tools, streamlining propagation and auditing of security policies and definitions to the isolated process control systems. At a greenfield installation in 2006-2007, Josh staged, documented, commissioned, and provided long-term support and training for the installation of a process control system for one of the largest aluminum smelters in the world, which included control for over 300 electrolytic cell pots. As part of the same project, he developed, commissioned, and created management procedures for a high-reliability, redundant-ring network made up of 100 managed switches, which utilized multiple integrated and isolated VLANs, and provided communication to over 400 discrete network nodes. At an aluminum forging furnace plant, Josh converted a production process control firewall from standard ACL design to object-based design, increasing firewall throughput by 20%, and completing the conversion with no adverse effects on production. He then created a firewall configuration template from that configuration to allow the customer to duplicate the firewall functionality for multiple installations, providing the customer with a manageable and unified design across many locations. In 2013, Josh and a team of colleagues were contracted to design a replacement for a 30-year-old I/O system for smelting process control because replacement parts for the failing units were unavailable. The team developed specially-purposed interface boards that allow current wiring connectors to interface directly to brand new Rockwell PLC equipment, without requiring any re-termination. Over the course of two weeks onsite, Josh’s team was able to replace the smelting plant’s entire I/O infrastructure, and provide them with a solution that would be supportable for 20 more years. The total out-of-pocket cost for the project was $600K, saving the customer over $5M as compared to the next cheapest solution. A corporate customer developed a process to make their manufacturing process more efficient by acquiring particular process values and storing/analyzing them via secure wireless (802.11) and Zigbee (802.15.4) networks. Josh was contracted to perform multiple functions for this product. He coordinates the hardware choice and manages sourcing, manufacturing, and testing of the proprietary product for the customer’s 20 locations world-wide. He helps manage the system infrastructure (wireless networking and data warehouse integration) at most sites. He handles the warranty processing of production units that are damaged in the industrial environment, coordinating hardware repair/replacement. For TelePro’s internal corporate network, Josh also manages all internet/web security, web design/management, email/domain configuration, and server/system administration.